Senior Lifestyle System allows Seniors to stay at home for 5 to 10 years longer, delivering huge savings for governments as well as families. 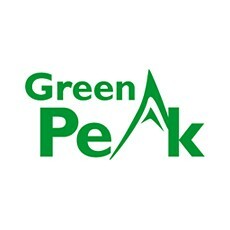 GreenPeak Technologies, the industry leading Smart Home semi-conductor/system company, and ZTE Health, a member of the world wide ZTE Group, have signed a partnership agreement to develop Smart Home applications and to provide smart solutions for the world’s aging population. This new application enables people to live longer at home independently while providing peace of mind to their care givers and family. The agreement was signed in Shanghai and was witnessed by the Dutch Prime Minister Mr. Rutte, who mentioned this partnership in his speech as an example of Dutch and Chinese collaboration, to address the care for the world’s growing elderly population, starting in China. As China and the rest of world are facing a rapidly aging population, the Chinese government on both a national and local level, is increasingly looking towards smart solutions to deal with challenges of supporting seniors. To meet that need, ZTE Health and GreenPeak Technologies are partnering to roll out a Smart Senior Lifestyle monitoring solution to telecom operators and local governments worldwide. This Senior Lifestyle System is an intelligent and self-learning solution, utilizing GreenPeak’s expertise in Smart Home sensor communication and Sensara’s cloud based algorithm, which has proven its excellence in use for many years in nursing homes. The system, with advanced behavior pattern recognition capabilities, learns the normal day-to-day activities of people in their home and sends alerts to family and care givers when something goes amiss. Because it does not require people to wear devices and it does not use cameras, the system is unobtrusive and ensures privacy. This solution has been proven in the field and empowers children and their elderly parents to privately and securely share lifestyle information, enabling the seniors to feel safe and live longer at home independently, while their children feel secure that their parents are safe and well. “ZTE Health strives to pursue a long-term cooperation with GreenPeak to provide Smart Home solutions and services that go beyond our customers’ expectations. The Senior Lifestyle application will allow elderly people to stay at home for 5 to 10 years longer, which means huge savings for families as well as for the governments on investments in nursing homes,” said Mr. He Shiyou, President of ZTE Health and Executive Director of the Board of ZTE Corporation. “Nearly 200 million elderly people live in China, of which 50 million are living alone. A Senior Lifestyle System allows children and their elderly parents to privately and securely share lifestyle information, enabling the seniors to feel safe and live longer at home independently. With the support of a leading company like ZTE, we expect the Smart Home revolution to quickly accelerate,” says Frans Frielink, Vice President of GreenPeak.